Monarch Air Group provides private air charter in Venezuela. Our clients benefit from top-notch service, unrelenting dedication to safety, wide selection of aircraft, and years of experience in chartering private jets. To obtain a free quote, please use our online quoting tool provided below, or call toll free 1-877-281-3051. 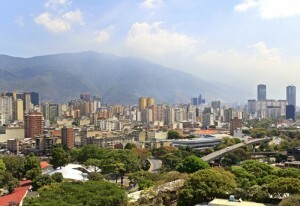 Monarch Air Group offers private jet charter services to and from Venezuela. Venezuela is a country on the northern coast of South America. With an area of around 353,841 sq mi, Venezuela is the 33rd largest country in the world by area, and with a population of 29,105,632 people it’s the 45th largest country in the world by population. Venezuela’s culture with 3 different families, the indigenous, Spanish and African, is a melting pot. Venezuela’s art gained importance in the late nineteenth century. Cuatro is the national musical instrument of Venezuela and Joropo is the national dance. The most popular sport activities are baseball and football. Venezuela’s airports are the La Chinita International Airport near Maracaibo and Simón Bolívar International Airport near Caracas. 1. LPJ, Pijiguaos, Pijiguaos, Venezuela. 2. PCR, Puerto Carreno, Puerto Carreno, Colombia. 3. PPZ, Puerto Paez, Puerto Paez, Venezuela.